This stunning penthouse features 3 bedrooms and 3 bathrooms, and is equipped with a solar water heater, elevator, electric generator, and internet connection. Located on the last floor, it offers a breathtaking view thanks to its open-air terrace. Enjoy the large swimming pool or clubhouse. Peace and quiet will be at the rendezvous in this beautiful property. A legend says that St. Antoine would hide a hidden treasure. The place itself is in itself a treasure that has remained jealously hidden for a long time. 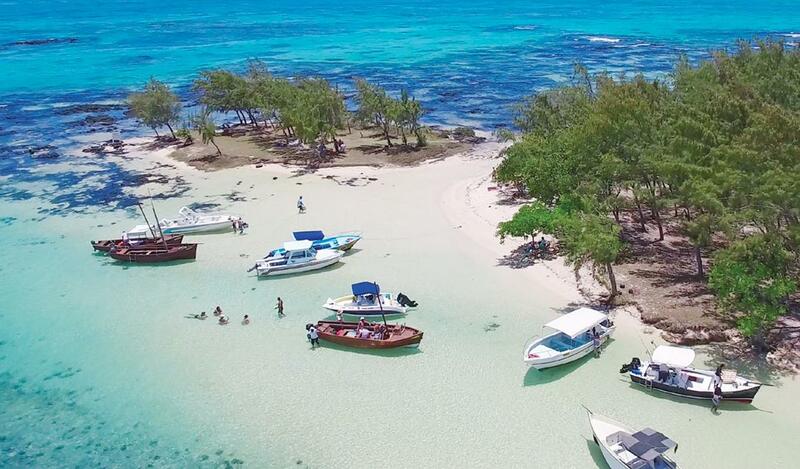 Located in the most coveted part of the island, north of Mauritius, St. Antoine is a place with rural charm, full of authenticity and attached to the traditions of the Mauritian way of life. Just ten minutes away from your new home, Cosmopolitan Grand Baie offers all the facilities you need for daily living – shopping malls and small shops, restaurants and bars as well as a lively nightlife! Private schools offering international courses are also nearby. Contact us now to learn more and make your new home. Our team is at your disposal for further information.